From Greek, Mentos , a character in the Odyssey, who was a loyal friend and advisor to Odysseus entrusted with the care and education of Telemachus (his son). I met my mentor, John T.L. Jones, Jr., in the late 70s. I was at the beginning of my bloodstock career having just left training at the racetrack. R. D. Hubbard told me, “When you go to Lexington, you need to look up Johnny Jones,” who he knew from his Quarter Horse life. 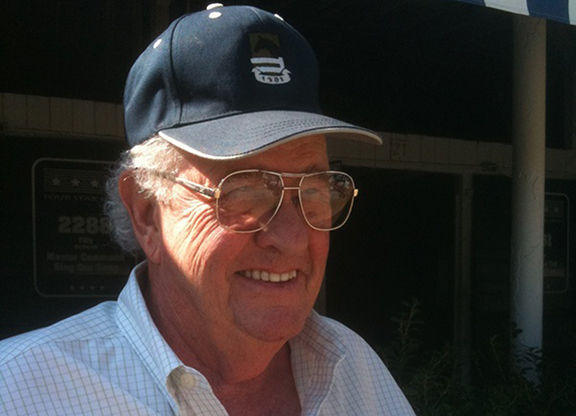 Johnny had cut his teeth in the Quarter Horse world, and I met him soon after he migrated to Lexington to take a swing at the big time in Thoroughbreds. Our first meeting took place soon after at Walmac Farm, and the magic of that moment changed my life. There was no way to see it coming, for we could not have appeared to be more different. He was from a small town in West Texas; I was from a big city back East. He had cowboy in his veins and had been around horses his whole life; I had watched a western or two, and had been around horses for a few years. He was a devout Christian; I was Jewish. He wore boots; I wore sneakers. But I guess sometimes magic is just magic. Johnny was only 16 years my senior, but It felt like he knew everything I wanted to learn, and he was happy to teach. So over the next two decades he gave me the education of a lifetime, teaching me about life, business, customers, horsemanship, the hard work of dealing with details, and most of all, the stallion business. I thought of him as the Eric Hoffer of the Thoroughbred industry. He invited me into his life, his world, his family, his friends, his thoughts, his dreams, and his fun. With Johnny, there was no shortage of that. But of course the most fun was just being around him. I really fell in love with the stallion business and I’m proud that many of the advances in stallion shareholder rights of today came from him. I came to own parts of a ranch in Texas, (his introduction to Cheryl Asmussen and Blue Bell Ice Cream were the best parts of that adventure), and too many horse deals to even mention. 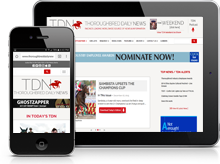 There was also an advertising agency specializing in stallion promotion, with that experience being instrumental in the development of the business of the TDN. I’m always connecting the JTLJ dots. The people who became my friends, business partners, and associates and are important in my life today 40 years later are by and large because of Johnny. His personality was legendary; his respect, unparalleled. His friendships were deep, vast, and plentiful, and they were all made available to me. If you were a friend of Big Johnny, doors opened. Could there have been a successful Matchmaker Sale without John, Vincent, Robert, Roland, Alec, Stavros, and Mike, (they don’t even need last names), all in attendance the first year? They were there because of JTLJ. I shared a breakfast with D. Wayne Lukas at the Breeders’ Cup this year and reminisced about Johnny and I giving him some yearlings to train for a partnership we started right when Wayne made the switch to Thoroughbreds. Wayne (also a Johnny Quarter Horse connection) would prove instrumental in the promotion of the ACRS years later. More JTLJ dots. The connections were worldwide and as far from West Texas as can be imagined. At a dinner at Windsor Castle, I had the pleasure of chatting to The Queen about her visit to Walmac and her admiration for Johnny and for Nureyev. Where would I be, or my children, without his life lessons? There were so many of them, oftentimes when I might not have been the most teachable or wanting to learn, but that didn’t deter Johnny. To this day, I say to my children, “Don’t blame me. Blame Johnny.” Invaluable is all I can say. I’m not sure his oft-repeated “don’t ever give your opinion unless you’re being paid” ever stuck, but it wasn’t for his lack of trying. The Who’s Who of the worldwide horse world just wanted to be in his company. You never knew who might show up for a visit or attend one of the amazing dinner gatherings at his home with Janice, so very special in her own right. I know there are so many others who also count him as their bloodstock mentors and the significant contributions they have made to our industry speaks for themselves. Donato, John Moynihan and Kerry Cauthen, just to name a few. Maybe we should call D. Wayne the Johnny Jones-like mentor of trainers? The kindness I experienced from JTLJ was shared by him to hundreds of others. That’s the kind of man he was. Thanks, Johnny. You are so appreciated and I will be truly thankful forever.